Look at this absolutely gorgeous stitching by Herta Hense, a Luv2Stitch customer. Notice how this piece exemplifies the dimensional stitching that is enhanced here. There is a lightly stitched background with a more densely stitched design. 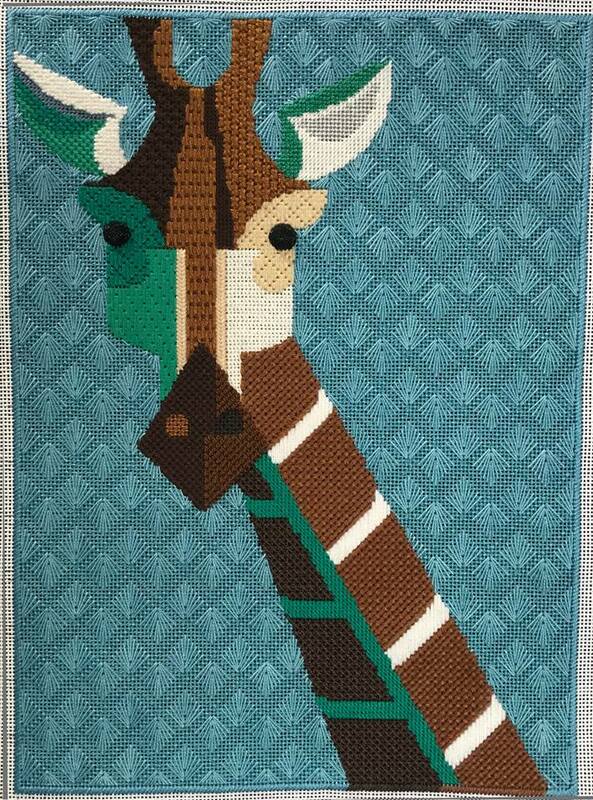 This, combined with the thread and color choices, brings the giraffe forward and a creates a wonderful sense of depth. Notice also the three-dimensional eyes. Luv2Stitch is proud to have supported Herta’s artistic journey on this piece. You too can bring your stitching to the next level in private sessions with Susan Portra who will be back periodically to Luv2Stitch. Check our calendar for opportunities where you too can work with Susan.